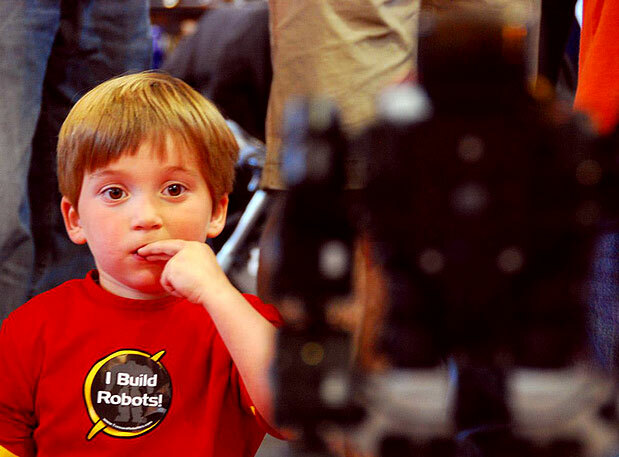 After a short break and a successful Kickstarter campaign, RoboGames, the world’s largest robotics competition, is back! Trossen Robotics participated in Mech Warfare at RoboGames multiple times, winning awards and inspiring the next generation of roboticists alongside friends in the robotics community. We’re glad to see them return. If you can’t make it out to the event in San Mateo, California, don’t worry. RoboGames will be producing professional, high quality video of the event to be released online, on DVD and Blu-Ray Disc, so you won’t miss out on the action! Production value on the videos taken at this year’s event will be of higher quality, but here’s a bit of video from the 2012 Mech Warfare at RoboGames.